This past month the Mobile Room EscapeTM really racked up the miles by taking a trip to Springfield! Old Abe welcomed us with opened arms so we could put on an escape for Illinois SADD. 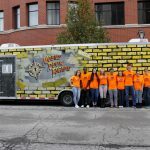 Illinois SADD is a peer leadership organization dedicated to preventing destructive behavior among young people, particularly underage drinking, impaired and distracted driving, teen violence, teen depression and suicide. The organizers contacted us to come be a part of their summit in Springfield. 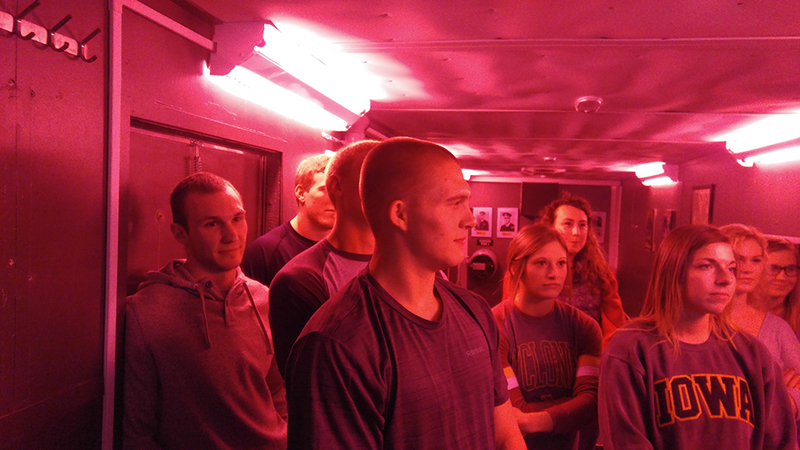 For an escape room that relies A LOT on safe driving, this was a special opportunity for us to put on a great team building escape that allowed leaders to show their stuff for a good cause. 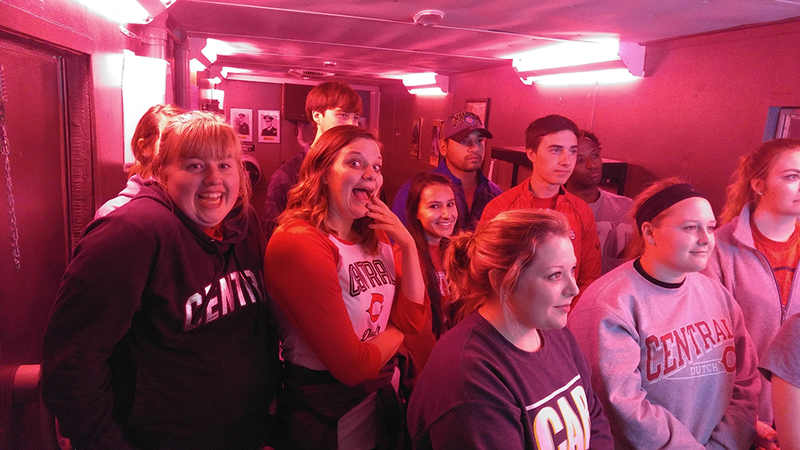 So we escorted the teen group of nearly 10 teens into the trailer… and locked them in! Once in the trailer, the teens we no longer students, but sailors in the Navy! Engineer Melina transported them back to the 1940s where they needed to solve a mission in order to get out safely… and they only had an hour to do it. These teens went to work right away. They followed the instructions of Engineer Melina and were able to escape in the knick of time! After the event we were able to talk to the organizers and students about their experiences. 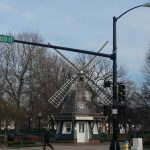 “I just thought this sounded really interesting and it gave them a chance to go through something that made them have to work together, “ Robyn Block, Illinois SADD Coordinator stated. Mobile Room EscapeTM has done many events, but one thing that really struck us about this one was the group of teens that came in together and left together… actually never met before. In the room they worked flawlessly as a team. Without team work, you really lower the odds of being successful in our escapes. Engineer Melina and I couldn’t believe they just met in this escape room and it really showed the teens ability to work with others and form bonds in order to solve problems. The drive back home was a long one but we made sure to drive safely, as always, in honor of Illinois SADD! We hope to see you guys again soon! Chicago Escape Room’s Newest Adventure Video! 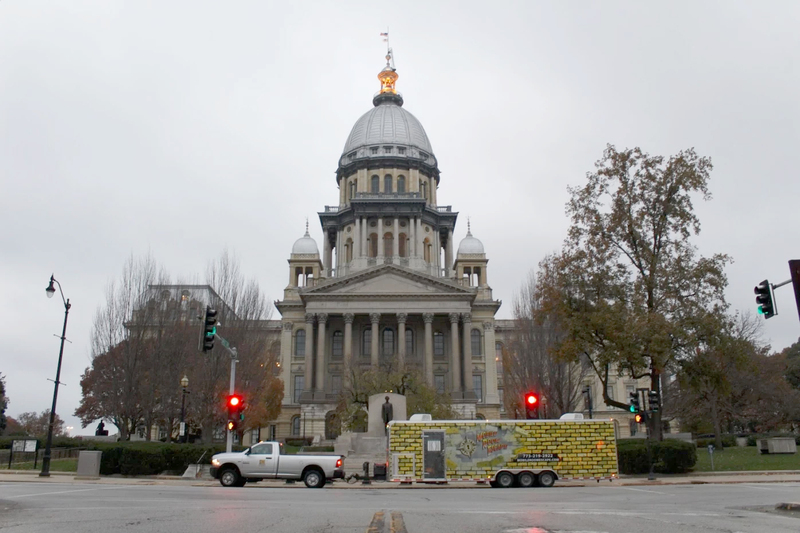 ‘Mobile Room EscapeTM‘s Newest Adventure is the most suspenseful two minutes in Chicago. In 2 Minutes you can brush your teeth, get dressed for work, make a sandwich or play Mobile Room EscapeTM‘s 2 minute mini trailer adventure game. The high tech puzzle solving game is made up of three electronic puzzles that challenges your mental and physical abilities. The clock ticks down as you race to repair the trailers axles and get her on the road again, but too many mishaps and all you will get is a face full of smoke (literally). The two minute mini game was developed by owner Jason Garvett and Mobile Room EscapeTM‘s Electrical Engineer Harrison Kantner. 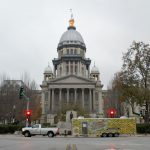 “Our innaugural year we were able to take our 32’ trailer to Fairs and Festivals during the summer to offer an escape room adventure to the attendees throughout the Chicago area. 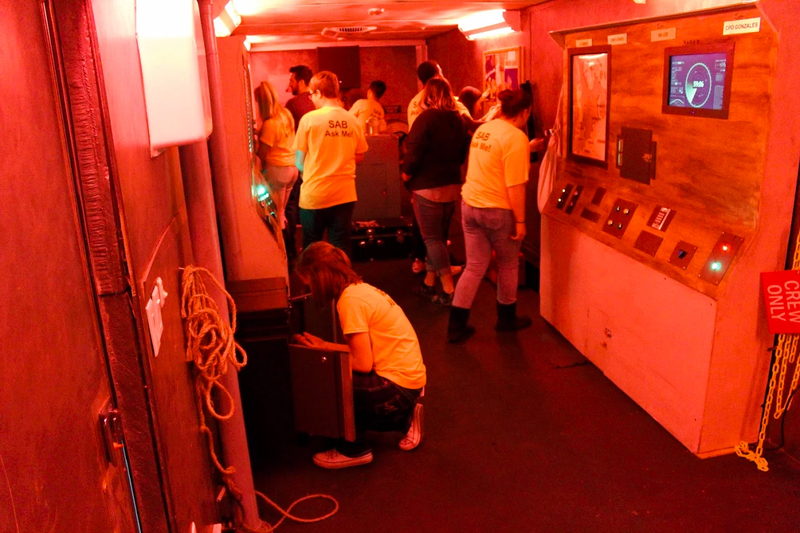 This year we are so booked with birthdays, corporate events, picnics, and field trips that we have not been able to commit to our festival circuit.” Now our 4′ model trailer can bring the escape room fun to our Summer events for the perfect Chicago Escape Room Adventure! 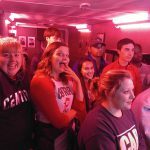 The mini game is the perfect addition to larger events, or even as an add on to our full sized trailer game “Down Periscope“. 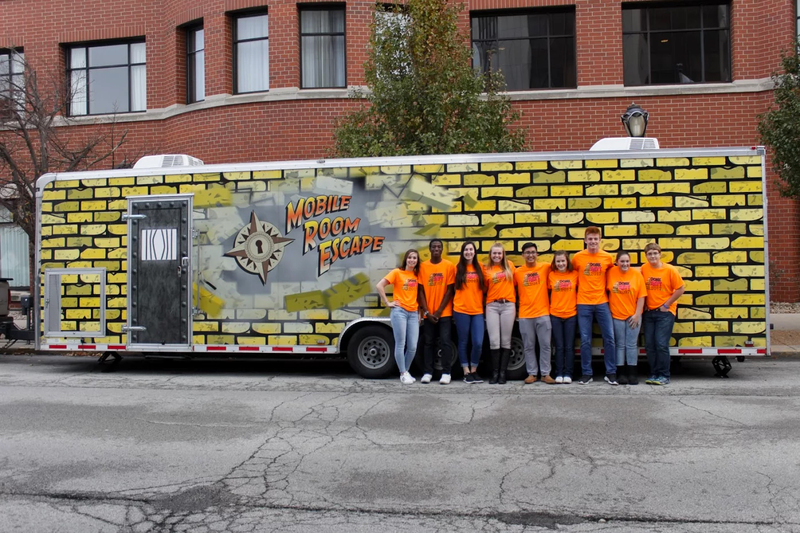 Call 773-219-2922 or email us at info@mobileroomescape.com to set up our mini game at your next event. We are the perfect Chicago Escape Room adventure, and, we are mobile! We will come to you for all your special events and team building activities. Hi! This is Melina, Operations Manager over at Mobile Room EscapeTM. 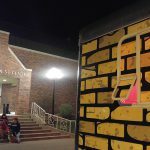 I’ve had the opportunity to travel to many colleges over the year I’ve been with the company, and thought I would share one of the trips I had with our traveling ‘mobile’ escape room. The colleges we’ve traveled to from Chicago have had us escaping with sororities and fraternities (a competition! ), teambuilding with administration, new student orientation, and educational groups for future leaders and entrepreneurs. Our escapes are challenging for the students, and encourage them to work together, problem solve, and communicate! 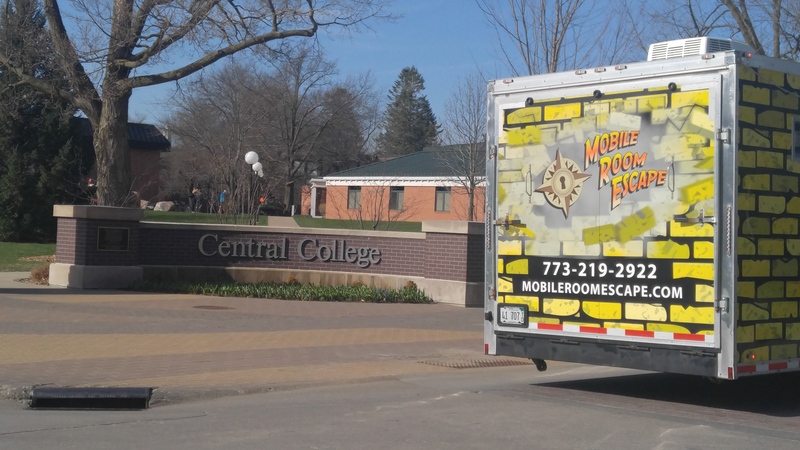 I’ve taken the mobile escape room to many colleges and universities in the midwest. 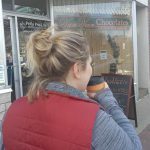 One of the most recent was in Iowa, and I enjoyed a beautiful, nostalgic drive. I attended the University of Iowa for college and drove I-80 every time there was a break. 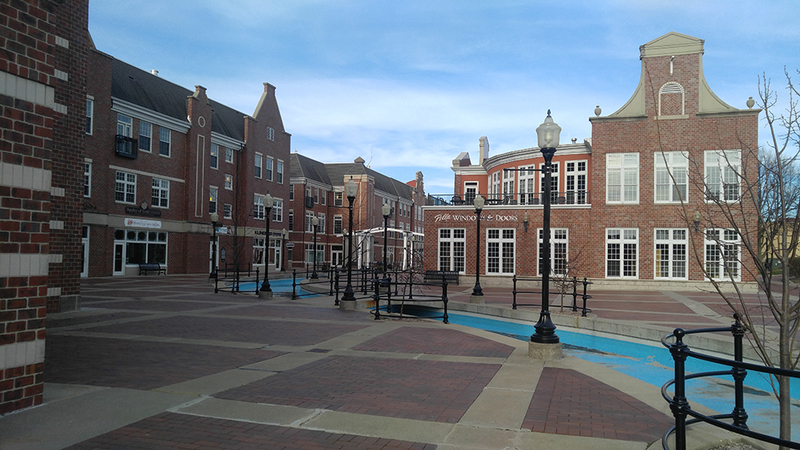 The next morning, before I had to leave, she offered to take me on a tour of Pella. 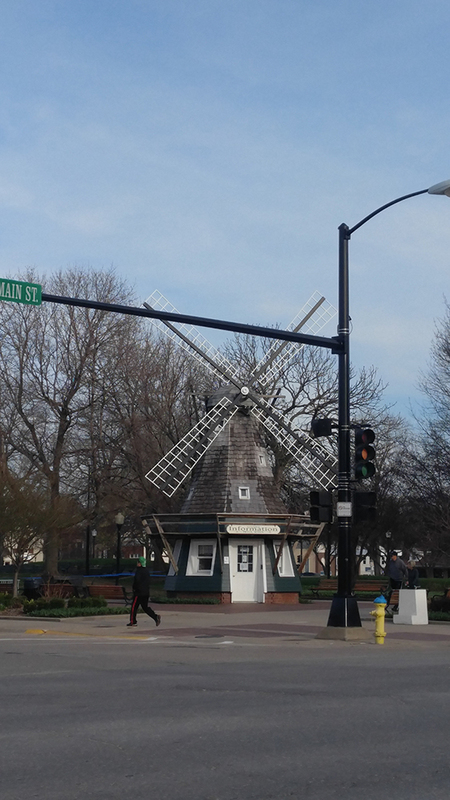 We ate breakfast at a local cafe, I admired the windmills around town, and spent too much at their local bakery. 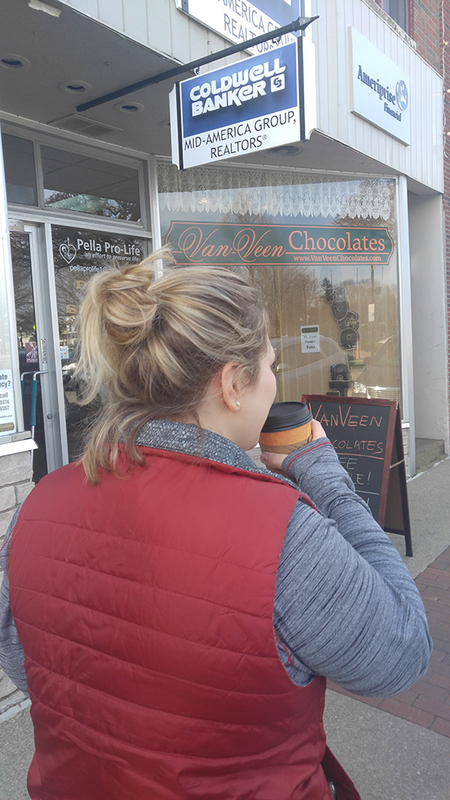 My heart warmed from the familiar Iowa kindness that I knew all through my college years. 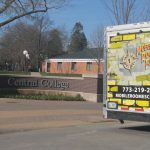 Just before I set out on the road again, Elizabeth snapped a picture for me in front of their college sign. 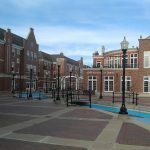 I can’t wait to go back to Pella for our next Escape Room Adventure!​ You could be our next adventure-Contact us today for details. 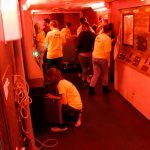 Mobile Room Escape did an AMAZING job with my son's birthday party this week. We were totally impressed with how Melina, the Mobile Room Escape party facilitator, handled our crowd of spirited boys, knowing when to hang back and when to offer a subtle hint to help them along. We couldn't ask for a better experience. I highly recommend the Mobile Room Escape! We used it at my business as a team building event, and it was a huge success. It was very well organized and everyone had a great time. The custom designed scenarios, puzzles, clues, etc. are all very well planned and are very challenging and engaging, great work guys! Our team here at A&R Screening had a blast! Convenient for the workplace since they travel to you. We definitely recommend Mobile Room Escape! We had MRE come out to our church in the Western Suburbs for a youth event. We all loved it. Not only is it truly challenging, but it's collaborative and everyone has a chance to contribute in some way to the escape. Fun for all ages, and definitely worth the price and time. Jason was fantastic, pacing everything well so there was never frustration. Great guy to work with! We would do it again in a heartbeat. 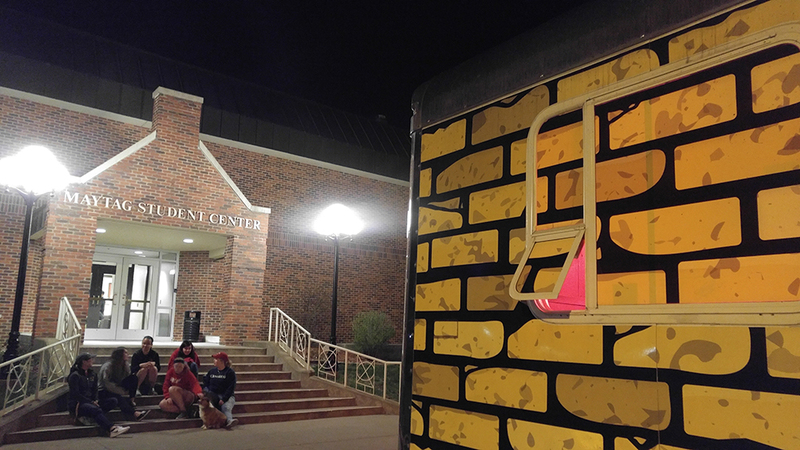 Mobile Room EscapeTM is the first escape room adventure of its kind. An interactive mystery, puzzle, escape room located inside a luxury climate controlled trailer built just for your adventure. We are Chicagoland’s perfect destination for all your special events!. Watch your friends face in amazement as the adventure pulls up to your home, office, or festival as the challenge begins. No need to travel to us for your party. The party will come to you! 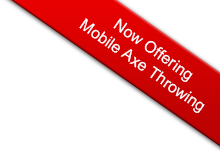 Phone Hours: Monday-Friday 9:00 AM to 5:00 PM. Copyright © Mobile Room EscapeTM All rights reserved.